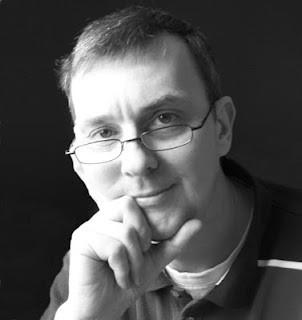 Today’s guest is an old acquaintance of this blog: science fiction writer Richard J. Galloway. Author of “Amantarra” and “Saranythia Part 1: The Gates of Setergard”, both translated into Italian by me, Richard offers us his own presentation of the latter and answers to a few questions I asked him. 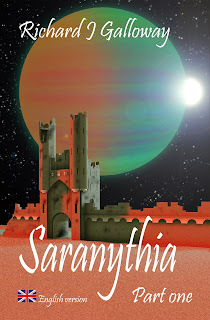 Three hundred thousand years ago Amantarra’s sister Saranythia had set off on a secret mission to save her people. She’d never been heard of again. She’d hidden her tracks so well that even a species as advanced as the Bruwnan had been unable to find her, even when the situation had reached a critical point and her help was desperately needed. It had been twelve years since the crisis had been averted and control of the city of Valheel restored to Artullus. The entity that had controlled the city had not been defeated, it had simply vanished, leaving behind a set of complex mysteries. Not all the citizens of Valheel had returned to the city and the majority of the Bruwnan were unaccounted for. Those that had returned had been galvanised into discovering the motives behind the entity’s genocidal attack on them. On Earth, life was good for John and Elleria, but it didn’t feel secure. The sense that there was something more, that something was coming, had never gone away, and for twelve years they had watched and waited. In particular, Amantarra watched Tyrus, whose manifestation in human form had coincided with the entities disappearance. Tyrus, an agent of the entity, appeared to be biding his time and had occupied himself with building Burnston’s company into an empire, his true purpose hidden. 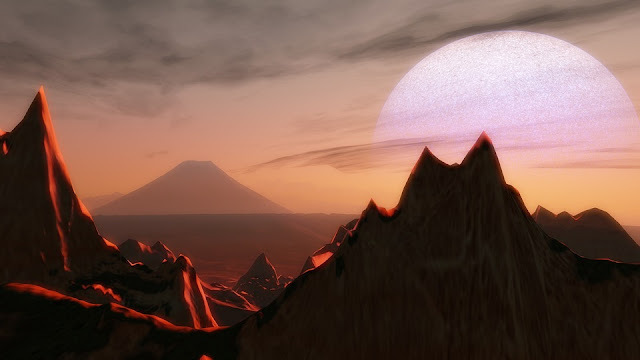 Then Amantarra received an invitation from a moon in a distant galaxy, and the game changed. Saranythia will be published in four short parts. You already told me about the object (in this article) that inspired “Amantarra”. Is there any object or event that has been particular relevant while writing “Saranythia”? No, the influence is not based on an object or event, not this time anyway. It’s based more on a collection of concepts. I have a fascination with the unexplained, be it scientific or otherwise, and an impulse to try and explain them. Think about ghosts, no one has ever proven that they exist and yet their persistence in human culture continues. Why? Let me give you a sort of parallel example. A few years ago I was thinking of a friend I’d known at school. It had been years since I’d seen or spoken to him as he lived thousands of miles away in the far east. The day after I thought of him, he turned up at my door. He’d been in England on business and thought he’d call round. Now this is a true story not an urban legend and it serves as a starting point for the following three questions. 1. Did my friend turn up because I’d thought of him? Cause and effect. 2. Did I think of him because he was planning to visit? Premonition. Perhaps it was all three until it became one of them, Quantum Mechanics, or perhaps it was something else entirely. “Saranythia” is a search for a definitive answer to the mysteries of ghosts and the coincidental appearance of long lost friends. It just happens on another planet. Why did you decide to publish it in four parts? Mainly the length of time that has passed since publishing Amantarra. 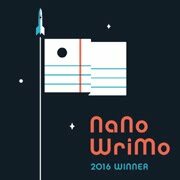 Due to family circumstances it has been difficult over the last five years for me to get any writing done. Those events are all behind me now, but of course it has been a while since anything was published so I decided to publish in four small parts. That way I can get the story out to my readers much faster. “Saranythia Part 2 - The Varton” will be published in April 2018. Is there a book (or more books), among those you’ve been reading while writing “Saranythia Part 1: The Gates of Setergard”, which you think may have somehow influenced you? I love the fantasy works of Robin Hobb and I’m sure her style of writing has had an influence on my writing, but my influences are almost always graphical. I tend to picture a scene long before I’ve decided what’s going to happen in it. For example, the opening scene in “Saranythia” was inspired by a background image I have on my computer. Once I have a setting, the characters appear quite quickly and start interacting. I just write down what they say and do. Okay that’s a simplification of the process, but it is in essence what happens. Richard’s first novel Amantarra was published in 2013, while its sequel Saranythia Part 1: The Gates of Setergard is now available on Amazon.